All Bay Schools are National PTA Schools of Excellence! Bay High launches the Class of 2018 to a bright and beautiful future! 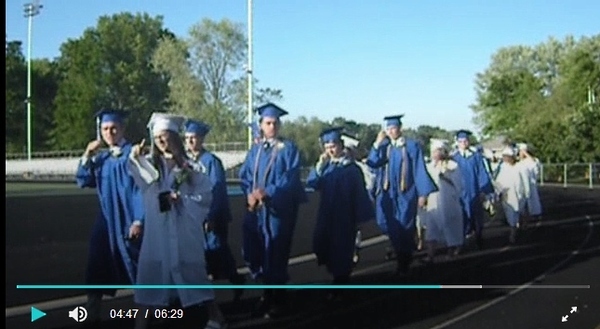 It was an absolutely gorgeous evening for our Class of 2018 Graduation Ceremony! Best of luck for a bright and beautiful future! See highlights in our video slideshow. Nothing says spring like a colorful pot of flowers barely starting to bud. 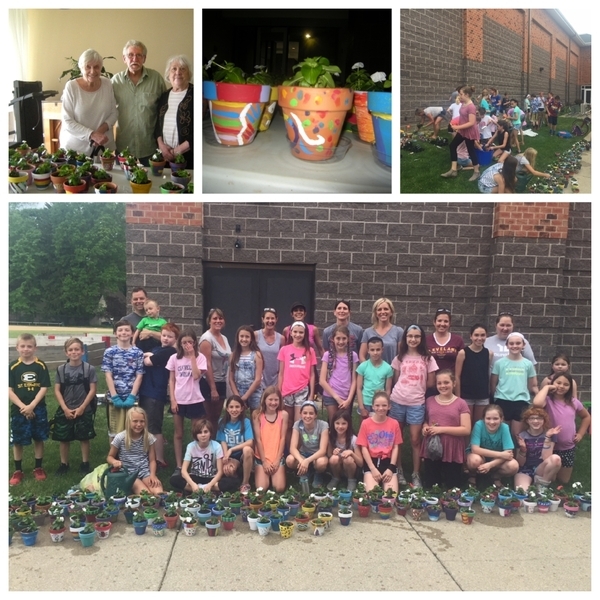 Fifth-graders at Bay Middle School presented Knickerbocker Apartment residents with just such a gift on Friday! Read more about this wonderful gift and visit. It's a 2018 wrap for Ground Control . 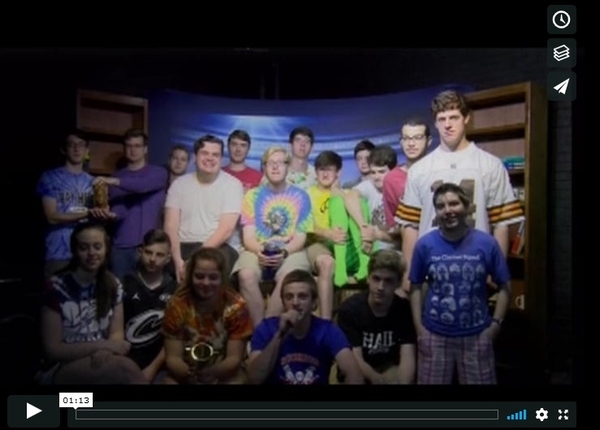 . .
Another great season for Ground Control, Bay High's student-produced video news program. These kids have fun, and make it fun for all of us to keep up with the happenings at Bay High! They learn plenty about lighting, sound, interviewing techniques and all the tech that goes with vide production from teacher Luke Kieffer. The Video Studio began with a grant from the Bay Village Education Foundation. View all the programs on the Ground Control Vimeo channel. Our Bay High Choraleers have been selected to perform at the Ohio Choral Director's Association's Summer Conference in June at Otterbein University. Director Devon Gess reports that the group performed at this conference in 2012, as well. Quite an honor! Three current Bay High AFS foreign exchange students presented a certificate thanking Bay High and the district for hosting AFS students since 1961. 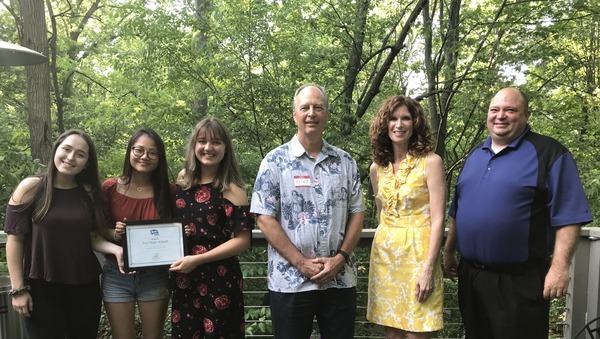 Pictured from left are: Katarina Guttormsen (Norway), Eva Wen Duran Menendez (Spain), and Sarah Schulz (Germany), current superintendent Clint Keener, incoming superintendent Jodie Hausser and Bay High principal Jason Martin. The presentation was made at Bay Village PTA Council installation dinner for its new officers. Congratulations to Westerly PTA on being awarded the grand $5,000 prize in Marco's Pizza School Challenge. Bay Village Marco's owner, Paul Demyan, along with his helper Caylee Baker, presented the check to Westerly PTA's Jill Myers. Westerly came in first out of 154 area schools based on ratio of pizzas ordered to the size of the school during the 2017-18 school year. In addition, Westerly students and staff all received free pizza for lunch the last day of school! Avery and Savannah describe many interesting facts about Australia to a visitor during the Bay Middle School Fundamentals and Culture class presentation. 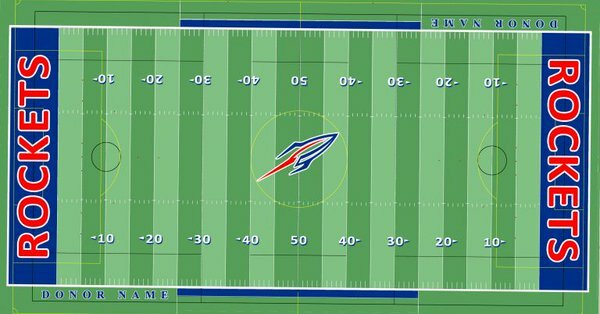 Bay Memorial Stadium will be getting a face lift this summer as the Bay Village City Schools will be installing a new turf. The current turf is 11 years old and has lasted it’s life expectancy. Renovations will begin on or around June 13 with a tentative completion date of July 14. The stadium, including the track and bleachers, will be closed to the public during construction. Funding is coming from a portion of cell phone tower revenue earmarked for this very purpose! The district receives "rent" for hosting the cell tower on school property. Two-Year Calendar reference available: You can find a side-by-side listing of the approved school calendars for 2018-19 and 2019-20 HERE. for frequent updates and announcements. And browse all our archived Inside Bay Village Schools HERE.